Well, desserts aren’t always right. But they’re so sweet! 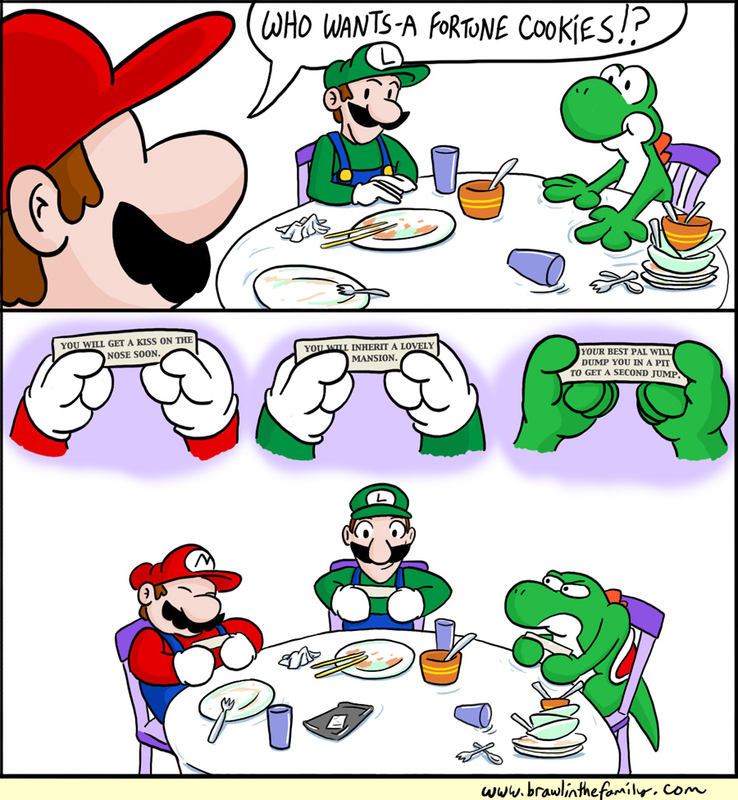 Buck up though, Yoshi–at least you don’t have to foot that enormous bill from snacking up several helpings of General Tso’s Chicken and egg drop soup. Leave that to the plumbers with the coinage.